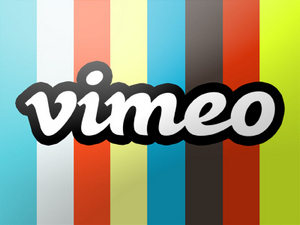 Vimeo, like YouTube, is also a popular video sharing site on which users can free upload, share and watch videos, movies, TV shows, music videos, etc. If you want to download Vimeo videos to iPhone, iPod, iPad, PS4, Samsung, HTC, Google Android, Kindle Fire HD and other mobile devices, an easy to use Vimeo video downloader is inevitable, and Any Video Converter Freeware is strongly recommended here. It allows you to download Vimeo videos and convert Vimeo videos to MP3, MP4, FLV, WMV, AVI, etc or burn Vimeo videos to DVD. Download online videos from other video sharing sites like YouTube, Facebook, MTV, Vimeo, Veoh, Vevo, Howcast, LiveLeak, etc. are also available. In fact, most of Vimeo videos will not come with a Download button for visitors to download videos. Here a 3rd-party Any Video Converter Freeware will help you. 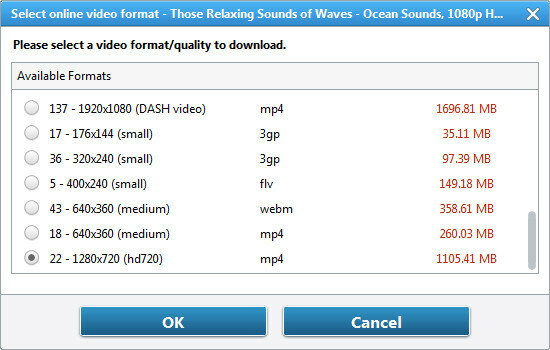 It can download online videos from more than 1, 000 sites (Vimeo, Howcast, YouTube, MTV, Veoh, Facebook, etc.). Convert Vimeo videos to MP3, MP4, WebM, FLV, Android, iPhone, iPod, iPad, HTC, Samsung and other mobile devices are aslo supported. Download and install it on your PC first. And then run this Vimeo Video Downloader. When you find out the Vimeo video you would like to download, please simply copy and paste the URL(s). Click on the Add URLs button, then a dialog will pop up, just click icon, and paste the download link to it. You can continue to paste more Viemo video links as the previous steps. Note: Before downloading Vimeo videos, press Online Video Tab, then simply choose Manually Select under Select Format thus you can choose the video format such as HD, MP4 etc. that you need when downloading. Press Start Download! button. Then, click "OK" to start downloading Vimeo videos.